We're almost at May! There must be some truth to the April showers this year, because Toronto is finally showing some signs of green and blooms. Unlike last year, the cherry blossoms have made an appearance this year. And as I look out my window, there is a little bit of green on the trees. I love winter, but I don't mind spring. I get along just fine with the days where the temps stay below 80F, it's those hotter days that are my mortal enemy. I just wasn't made for heat. I'm aware that sounds crazy for a person from southern USA to say. Blasphemy to some of my readers ears, I'm sure! Chanel Glossimer in 144 Rose Dilemma - It pains me that this line has been discontinued just recently, but apparently the new Rouge Coco lipgloss is supposed to be even better. The packaging looks identical, but the applicator and formula has changed. Not sure about the shades completely changing, but 728 Rose Pulpe looks similar online to Rose Dilemma. ColourPop Supermodel Super Shock Shadow - Such a perfect base color and great for light and bright spring looks. Benefit They're Real Mascara - Always a winner. 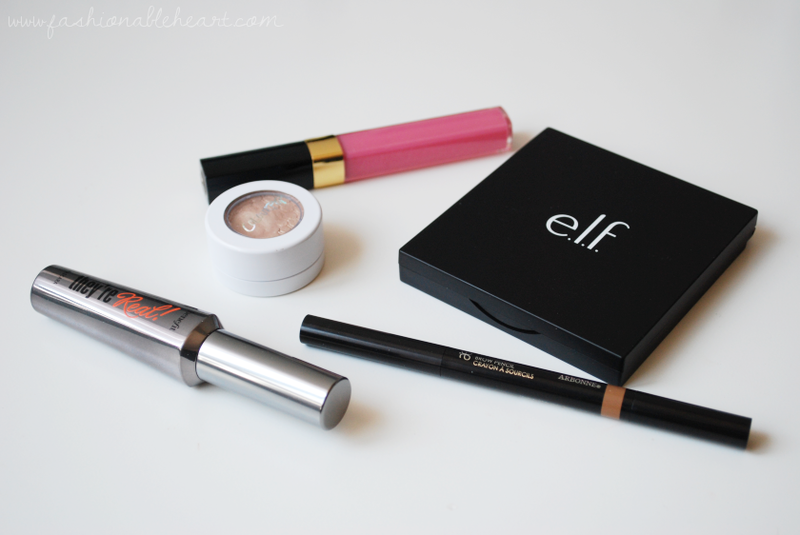 I'm just finishing this one up to try the new Rimmel mascara that Influenster just sent me. Arbonne Shape It Up Brow Pencil - I have the medium shade and it is pretty foolproof. The spoolie on one end is an added bonus. 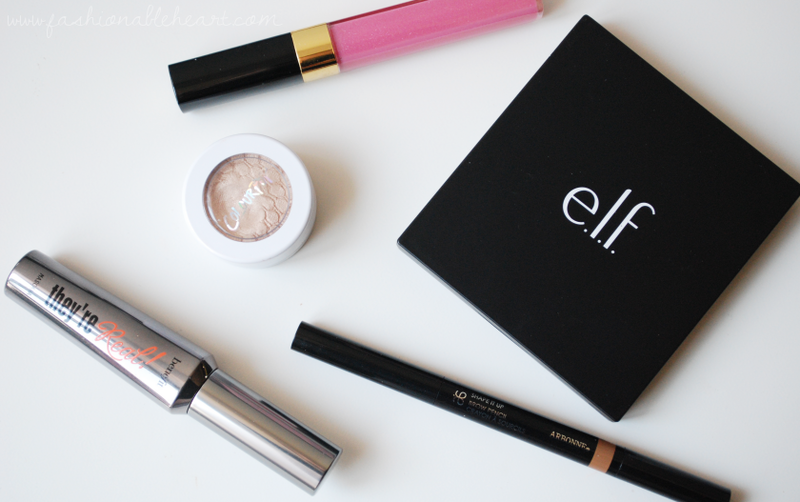 ELF Contour Palette - Still love this. I really want to get my hand on some of the other ones.